For as long as I can remember I’ve had a real love and passion for all animals, both domestic and those in the wild and for many years I have known that working with animals was meant to be my vocation in life. I’m Jacqui, founder and owner of For Our Love of Pets. I live with my partner Roger, our two Golden Retrievers, Ella and Bailey (one of Ella’s only litter) and our cat Kiki. Between us, we have owned dogs for 35 years and cats for 40 years. I am a Canine First Responder in primary and secondary care and have a Level 2 City & Guilds qualification in the Technical Competence of Dog Walking. Before we had Ella we contemplated for a long time how we could care for a dog whilst working full time but, following many long conversations and lots of consideration we decided it could work if we employed puppy sitters and dog walkers when we had to be in the office. I know first-hand how difficult it is having to leave your pets for any reason so having trusted and caring pet sitters is vital. I have spent many years in a corporate environment providing exceptional customer service to many high level individuals and companies and I decided it was time to combine that service together with my passion for animals to provide the ultimate service to both you and your best friends. Why Choose For Our Love Of Pets? I have known Jacqui for many years and was so happy for her (and my dog!) when she told me about her new business. Jacqui is professional, reliable and incredibly caring of all animals. I can’t think of anyone who would be better suited to look after other people’s pets. I look forward to using her services soon and seeing her business thrive. We have known Jacqui for a few years now and prior to her starting her business, our Golden Retriever Daisy has stayed with her and her own Goldies on a couple of occasions. She always has a wonderful time enjoying long walks, comfortable accommodation and lots of love and attention.  We wouldn’t hesitate to recommend Jacqui and For Our Love of Pets as a great place for your dogs to stay or if you just need some help with dog walking. We know how hard it is to get the right care for pets when you work full time or when you are going on holiday. Everyone at For Our Love of Pets has the same passion as I do and has a real love of animals having owned dogs, cats and a variety of other pets for many years. We pride ourselves on being able to step in to provide exceptional care for your pets when you are unable to, using our passion to provide a professional, high quality caring service. We will work with you to understand your preferences, and more importantly, your pets’ preferences, to ensure the care and attention you provide is a seamless transition for them when they are in our care. We are members of the Pet Industry Federation which provides a quality assurance to businesses in the pet care sector. Our dog walkers and home boarders are canine first aid trained and we are DBS/police checked. We have fully comprehensive insurance cover and all our dog borders are Local Authority Licensed.